The Elder Scrolls Online does not want for backstory. If anything, its biggest obstacle is the surfeit of backstory presented over the course of five games, enough so that even setting the game during a previously unexplored time can cause issues. So it’s not surprising that along with a massive overhaul to the official website, the game’s team has put together a new story page providing series fans with a solid set of information to place the upcoming game in the context of its fellow installments. 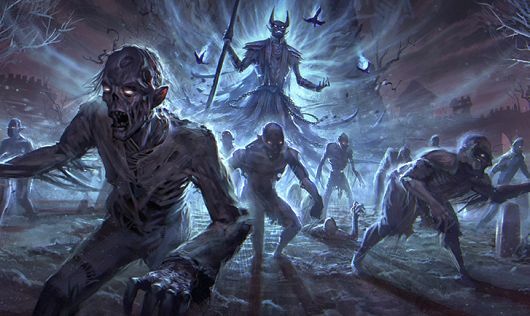 Seeing that page may still not entirely comfort longtime fans of the lore, which is why the site has also provided a new article explaining how the team at ZeniMax Online Studios is handling writing for TESO. The short version is that the game has intentionally been set in a time period during which players have plenty of space to shape the world without derailing future parts of the game, and the team has been working very hard to keep the lore of the new game in line with past and future developments.